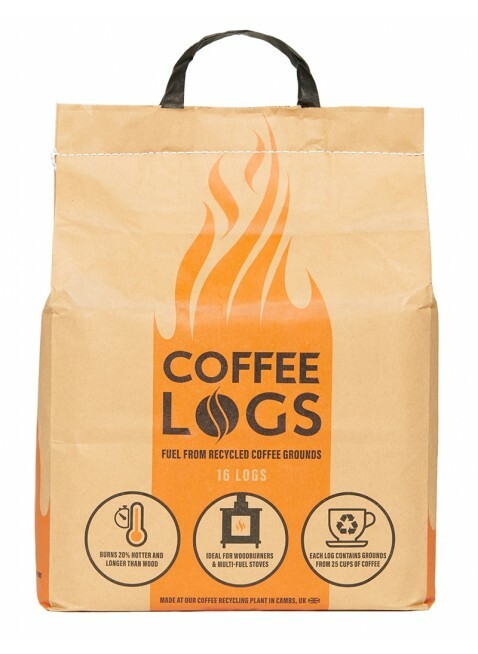 They are ideal for use in log burners, multi-fuel stoves, open fires, chimeneas — even barbeques if you want to experiment with coffee smoked cooking! What’s more, they can be used in smoke controlled areas with a DEFRA approved appliance. Upon opening the bag, you are presented with the lovely aroma of coffee. This is followed by a delightful coffee scent permeating the house when burning. 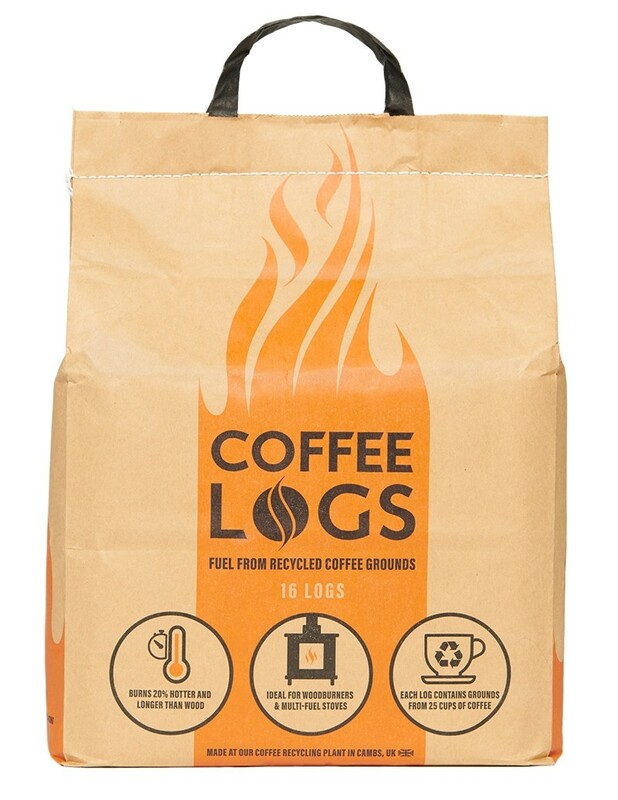 Coffee logs have zero mess. 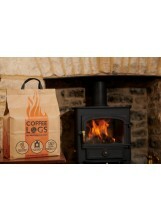 Are you oftentimes reluctant to start the wood burner because of the shear overhead and mess of wood logs? 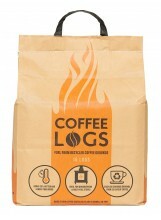 Coffee logs are the answer. 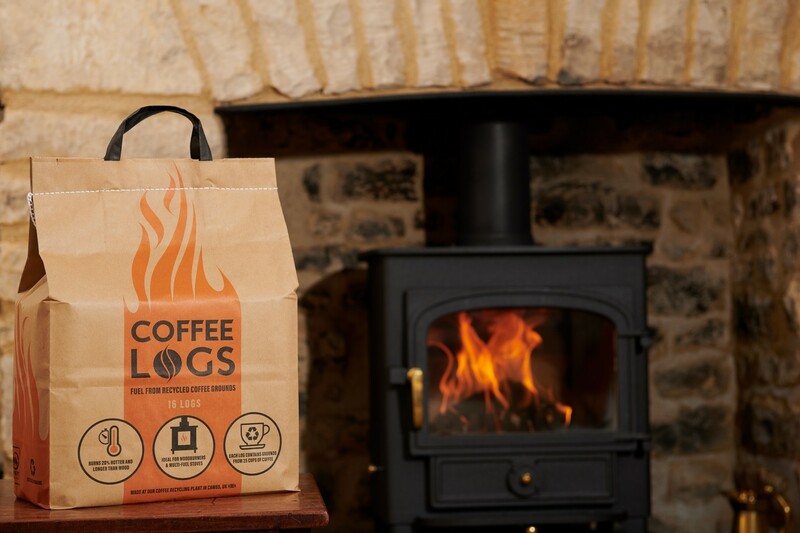 Each bag weighs only 6kg — yet provides 16 hours continuous burn time — so mobility and handling are a breeze. To add to all this, we have the feel-good factor of knowing that you’re using a product produced from 100% waste. All these coffee grounds would otherwise be going into landfill. Putting coffee grounds in landfill makes no sense — it’s bad for the environment and expensive for coffee shops. UK smoke control areas - don't get caught out!